Kenya Revenue Authority (KRA) is a very important component of the well-being of the general economic growth of Kenya. The truth is, without the Kenya Revenue Authority (KRA), there would be no developments going on and the government would literally fail to function. It is KRA that makes sure that the government gets the much-needed revenue that is needed for the day to day running of government and in funding of other developmental projects. KRA is the medium between the taxpayer and the government. But what happens when the medium fails and becomes a frustrating conduit that is used to torment and frustrates the same people who should pay taxes? On several occasions, the Kenya Revenue Authority (KRA) has failed to reach the target of revenue collection, not because Kenyans have refused to pay taxes but because of corruption and a manner in which it handles its clients; taxpayers. It appears as though, KRA does not know how important it is to the economy of this country. For instance, the activities of KRA are a great determinant as to whether companies and individuals from other countries will choose to invest or not to invest in the country. Its activities will also determine whether Kenyans will positively pay taxes or not and whether they will work hard with an intention of paying taxes to keep the government running. Kenyans and businesses who pay taxes should be treated with respect and care. Without these hardworking Kenyans who pay taxes, KRA would not be around or if it would, then it would just be an empty vessel with nothing to hold on. In fact, KRA should not take those who pay taxes for granted. It is actually the requirement of the law that we pay taxes and that should not be a reason for them to abuse the privilege of thinking that it is a right. As an entity that deals with finances and all revenues for this country, KRA should not accept to be used as a tool that can be used to punish and frustrate both individuals and businesses. KRA is not a political entity and it is not under the obligation of any person or any group to be used to frustrate other entities, businesses, and individuals. KRA Should find a way of providing a conducive environment for settling tax disputes with the clients. Above all, it should always be the first in creating, restoring and sustaining the confidence of investors and individuals who pay taxes. The recent back and forth between the Kenya Revenue Authority and Lawyer Professor Tom Ojienda has brought on the surface some hidden forces that are trying to use KRA to either frustrate him, paint him in bad light or just to make him look bad with the sole intention of making him lose out of the forthcoming JSE elections. Am not trying to defend Professor Tom Ojienda, but the actions of KRA betray it and display sinister dealings and malicious intentions aimed at maligning the Professor in a bad way. For instance, why has KRA refused to issue Professor Tom Ojienda with a tax compliance certificate? They say that the Professor has an “outstanding tax dispute” that is still ongoing and that they have to “verify the compliance of Professor Ojienda” tax compliance history. Does this mean that KRA does not keep records? Why did it have to wait until the Professor wanted the certificate for JSC before coming up with the reasons? Again, the court issued an order. 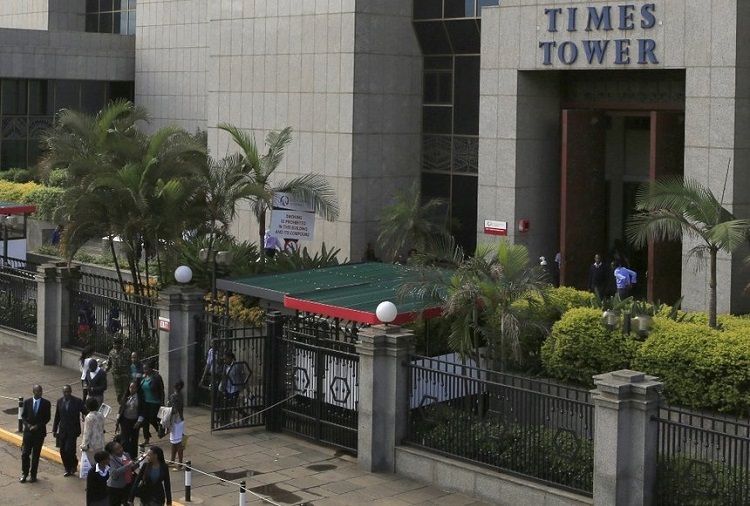 Is KRA above the law? Between the ongoing dispute and the clearance certificate, which one is urgent? The certificate because Professor Tom Ojienda needs it. The matter can always be revisited after the Professor has his certificate to enable him clear for the JSC position.